If you have lived in Orange County any number of years, you might be familiar with Benjies Deli which has been established in the Tustin/Santa Ana area since 1967 and is still family-run/owned to this day. The New York style deli now operated by Lloyd and Noriko Weinstein is known for traditional deli dishes such as their matzo ball soup, pastrami, latkes, triple-decker sandwiches and more. It also has been home to an bar/lounge called The Bamboo Lounge for a number of years but while the charm of an old-school New York style deli and restaurant can sustain itself through nostalgic romanticism alone, the needs and wants of weekly bar visitors will change over time. Enter Avenue K, the newly revamped bar at Benjies which pays homage to the restaurant's origins while keeping a fresh look. Benjies' founder Stan Weinstein was born and raised in Brooklyn where he lived in an apartment on Avenue K, the same street where current owner Lloyd Weinstein grew up. 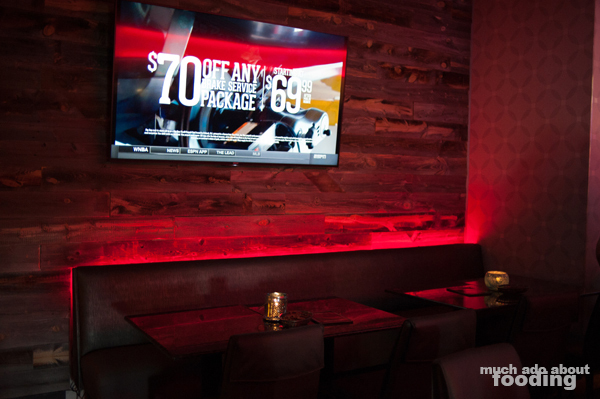 As a nod to that origin and to modernize the New York feel, the bar has adopted this theme and proudly shows off old photos on the walls of the Brooklyn neighborhood. 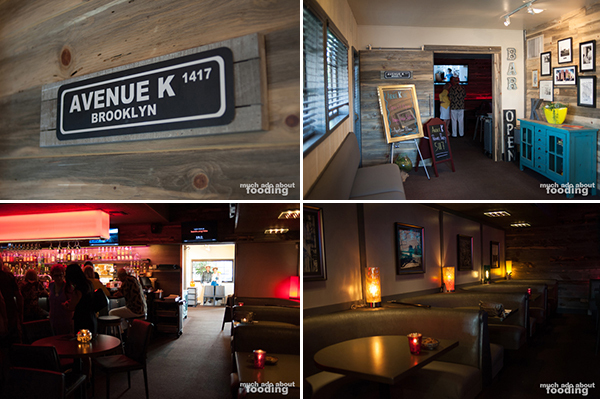 We visited Avenue K during a friends and family pre-grand opening evening to see the renovations. The family had really pulled together (Lloyd's sister, Alisa, is now the general manager at Benjies and Avenue K) to give the previous Bamboo Lounge a facelift through their own manual work. Save for a few pieces of furniture, the remodel was done by hand by the Weinsteins themselves including the wood paneling on the walls and the arrangement of key pieces of furniture. 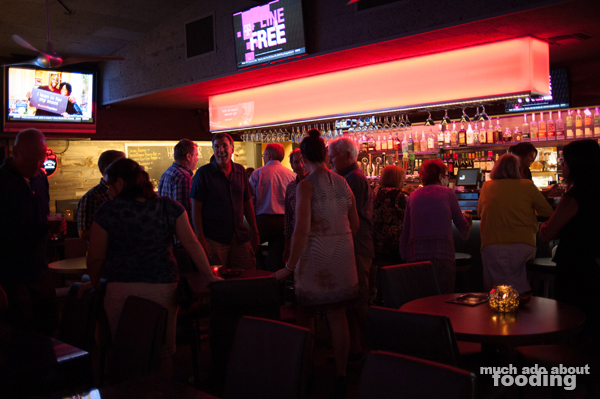 They mounted monitors, installed lights, and much more in the weeks it took to redo the bar but that dedication really shone through in the fresh look of everything juxtaposed to the era-driven deli section. We could see it being a great change to the legacy of the restaurant and one that will welcome more people to understand what Benjies is all about. If alcohol is on your mind after all of this backstory, fret not. 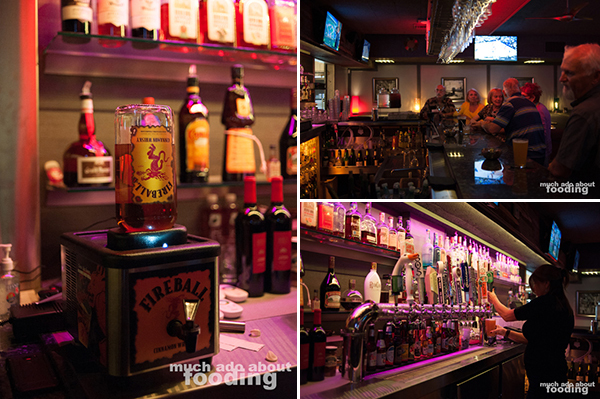 Avenue K certainly carries some great drinks and satisfying bar food. We were especially fond of the Reuben Fritters ($7), delicious fried balls of pastrami and cheese. In fact, their bar menu has an emphasis on pastrami and seeing as that is one of their shining stars at the restaurant, we'd recommend you get in on those menu items (pastrami sliders, anyone?). 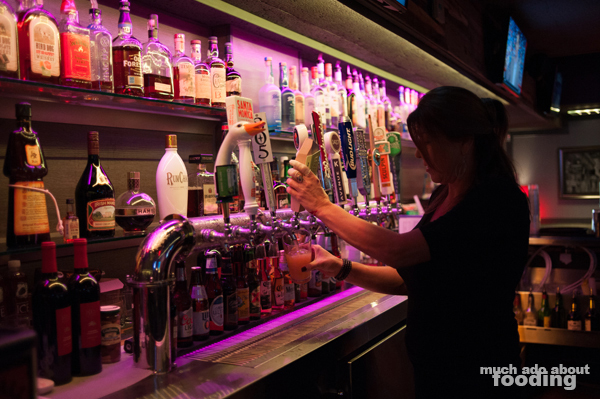 For drinks, you can find yourself looking down the glass at a specialty cocktail or cheers-ing pints of local craft beers. Avenue K also has its own proprietary beer called "Avenue K" with a custom tap handle. Give it a try; it's a red ale brewed by Backstreet Brewery in Orange County that makes for easy drinking. 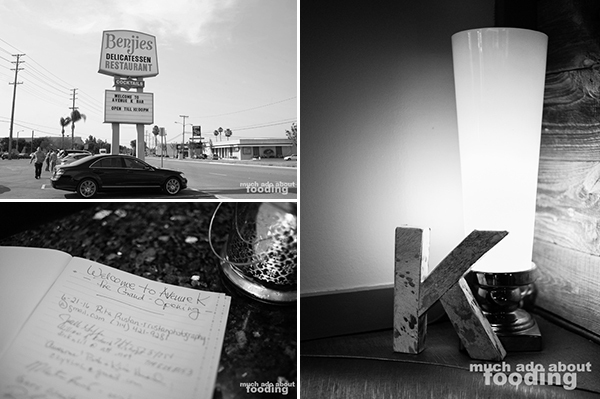 Find Avenue K in Benjies Deli located at 1828 N. Tustin Ave, Santa Ana, CA 92705 and let us know what you think. A big congratulations goes out to the Weinsteins for their renovations and their soon-to-come 50th anniversary!